Hey Guys! 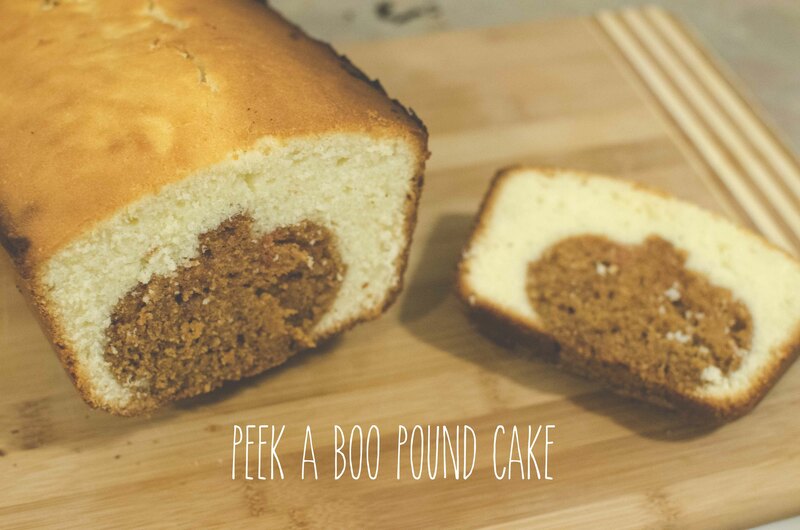 I’ve got another recipe for you this week: Peekaboo Pumpkin Pound Cake! 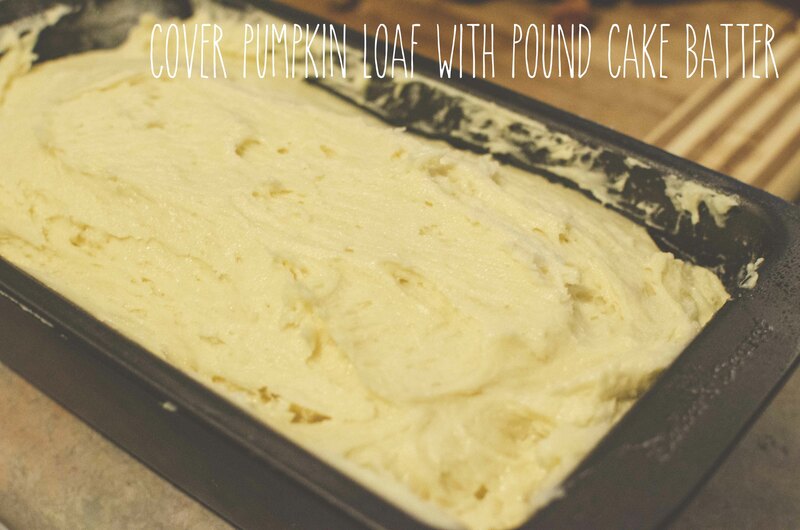 The Peekaboo part uses the Pumpkin Loaf recipe I shared two weeks ago. You can find that recipe here! 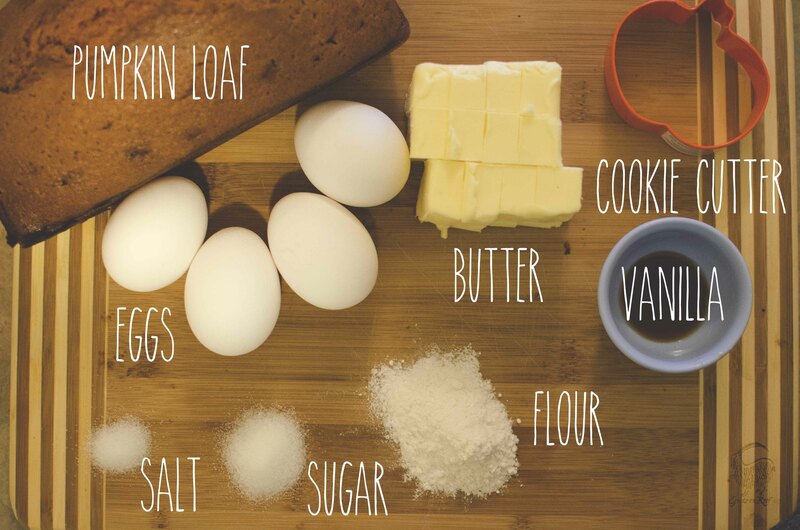 While your pumpkin loaf is baking (check the link for the recipe above for directions) it’s time to start the Pound Cake. I pulled the recipe off of Martha Stewart’s website. You can find her recipe here. 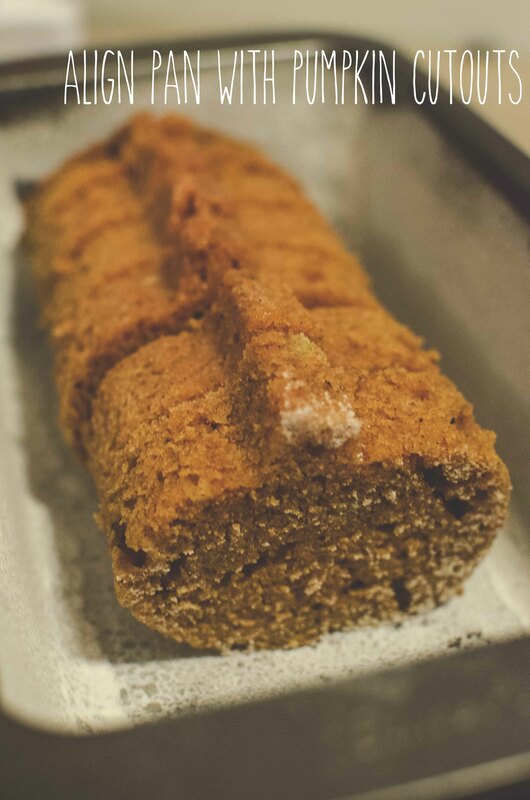 Now, you’ll want to pull your pumpkin loaf out of the oven about 8-10 minutes early. 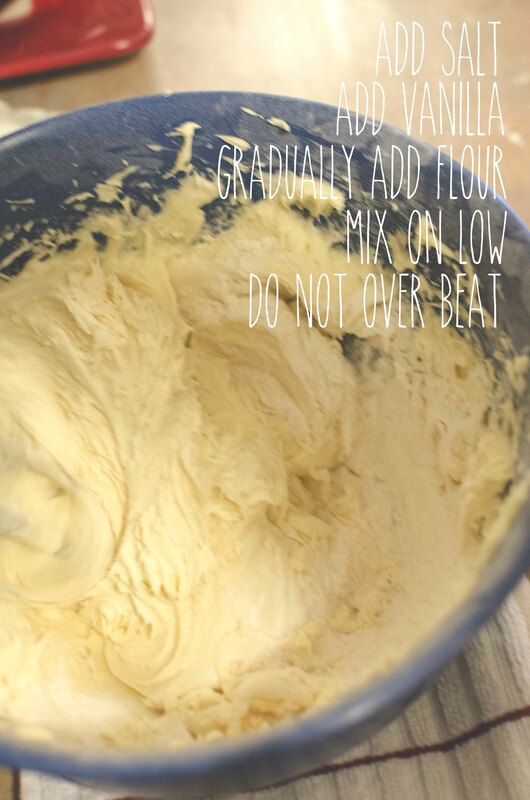 Transfer your loaf (still in pan) to the refrigerator for up to four hours. 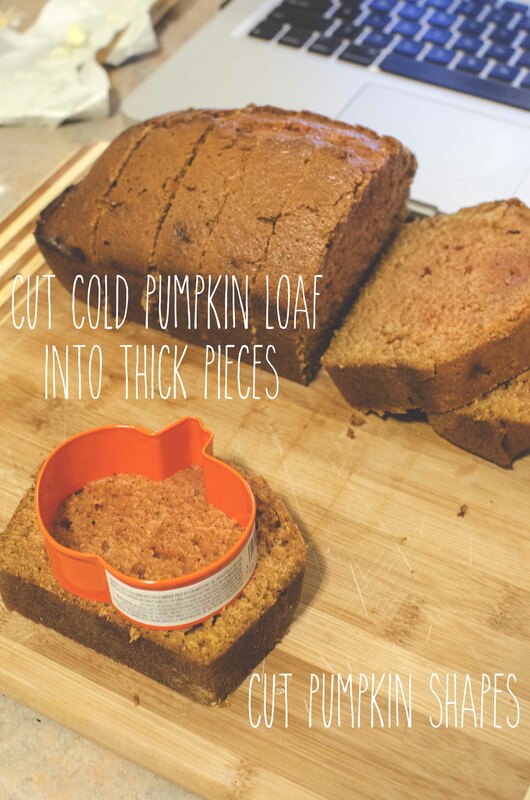 Once the cake has cooled, cut the loaf into thick slices. Grab your pumpkin cookie cutter and cut out your shape. Take your cutouts and line your buttered and floured loaf pan. 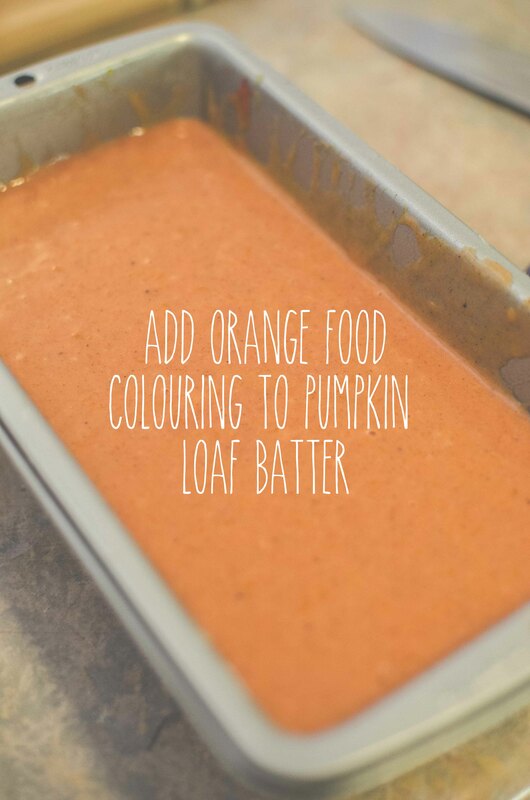 Cover your pumpkin slices with the pound cake batter and transfer to oven. 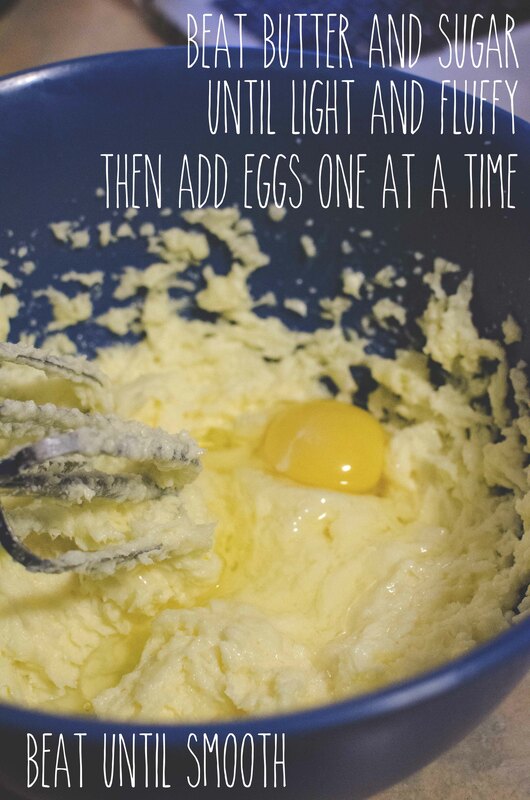 Follow the baking instructions from Martha’s recipe. Keep a close eye on the cake, for it may not take the full 60 minutes to bake. I would check every 15 minutes. Insert a toothpick, and when it comes out clean your cake is done! Look how cute!